Macular degeneration is a medical condition that affects about 8.7% of the world’s population (1). It is the leading cause of blindness among older adults in industrialized countries. The number of people with age-related macular degeneration is projected to be around 196 million in 2020! Alarming, isn’t it? Macular degeneration is associated with progressive vision loss that advances with age. Wondering what treatment options are available for this condition? We have it all covered in this post. Keep reading. Macular degeneration is a medical condition that affects the retina – a layer at the back of your eyeball that is made up of cells sensitive to light. This condition is also referred to as age-related macular degeneration (AMD) and is known to affect a person’s central vision. Images or visions that were previously clear may appear blurred as a result of this condition. Some individuals may also see dark spots that tend to get bigger progressively. Although macular degeneration can make it harder to perform certain activities, total vision loss is quite unlikely. This visual condition usually affects older adults and is one of the most common causes of partial blindness in those who are 60 years or older (1). There are mainly two types of macular degeneration. Macular degeneration is classified into two types – dry macular degeneration and wet macular degeneration (2). This type often develops gradually, and there is no cure for it. However, an individual can try to cope with it. Dry macular degeneration accounts for 85-90% of the cases. It is also known as neovascular AMD and usually occurs when new blood cells develop under the macula. This development can cause blood and fluid to leak under the macula. Wet AMD has more severe consequences than dry AMD as it can also result in severe vision loss. Once the symptoms begin surfacing, immediate treatment is required to prevent complications. Macular degeneration (or AMD as it is commonly referred to as) is a painless condition. The degeneration of the macula often occurs after 60 years of age. There are 2 types of AMD – wet AMD and dry AMD. High blood pressure, high cholesterol, smoking tobacco, obesity, or even eating foods high in saturated fats contribute to the development of macular degeneration. Dry AMD has no cure, but you can manage its progression by making certain lifestyle changes. Macular degeneration can also be classified into different stages. Early AMD – Most individuals do not exhibit any symptoms in the early stages of AMD. This is why regular eye exams are important, especially if you are at risk of developing the condition. The presence of medium-sized drusen, which are yellow deposits beneath the retina, confirms early AMD. Intermediate AMD – In this stage, there could be some vision loss, but there may still not be any noticeable symptoms. Some individuals may see a blurred spot in the center of their vision. It is diagnosed by the presence of many medium-sized or one or more large drusen. Late AMD – Vision loss becomes evident once your condition enters this stage. This stage is also referred to as geographic atrophy, and it most often affects the center of one’s vision. Large areas of damaged tissues resulting in central blind spots characterize this stage. The symptoms of macular degeneration may vary depending on the type of the condition. Metamorphopsia – A condition that causes straight lines to appear wavy or crooked. Central scotoma or a blind spot in the center of one’s vision. This spot may get bigger if not treated. The symptoms of wet AMD often progress much faster than those of dry AMD and are more severe. The exact cause of this condition has not yet been found. However, the following factors have been linked to increasing the risk of developing macular degeneration. Advancing age – The risk of developing macular degeneration increases after 60 years of age. Ethnicity – Caucasians are at a higher risk of developing AMD than the others. Family history/Genetics – A family history of the condition puts you at a higher risk of developing it. 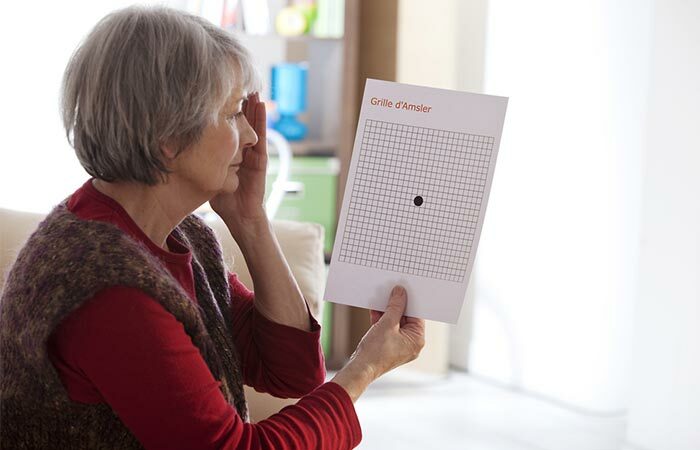 Macular degeneration can be quite difficult to diagnose in its early stages. Hence, it is always better to get your eyes checked regularly, especially if you are at risk of developing AMD. The following are the common diagnostic tests used to confirm macular degeneration. Amsler Grid – You will be asked to look at a special grid that has vertical and horizontal lines. If the lines look distorted, broken, or faded to you, the diagnosis is positive. Fluorescein Angiography – The doctor injects fluorescein dye in a vein in your arm. They then inspect your eye with a magnifying glass and take pictures of the eye. These pictures will help them find out if the blood vessels behind the macula are leaking. Leakage confirms wet AMD. Optical Coherence Tomography – Special light rays are used to scan the retina and take an image of it. The image provides more details about the macula and helps to check for any alterations in it. Once your condition is diagnosed, your doctor may prescribe treatment based on the type of AMD you are suffering from. Treatment is usually aimed at slowing vision loss as the lost vision cannot be restored. Clinical trials are also currently being conducted for treating dry AMD with the help of stem cell transplants. Anti-Vascular Endothelial Growth Factor (Anti-VEGF) Medications – The vascular endothelial growth factor is the chemical that contributes to the development of new blood vessels in the eyes of those suffering from wet AMD. Anti-VEGF medications like ranibizumab (Lucentis) and bevacizumab (Avastin) block this chemical. Photodynamic Therapy – This therapy involves injecting a light-sensitive medication called Verteporfin into the affected person’s arm to help detect abnormal blood vessels in the eyes. Then, a laser is shone through the eye for a minute, which activates Verteporfin and destroys the abnormal blood vessels in the macula. Laser Surgery – It uses laser rays to treat the abnormal blood vessels in the retina. When it comes to managing macular degeneration or AMD, your diet plays quite a significant role. The following is a list of foods that you should include and/or avoid in your diet if you are suffering from macular degeneration. Antioxidant-rich foods like broccoli, squash, spinach, kale, and collard greens (5). Eggs, spinach, kale, parsley, Brussels sprouts, lettuce, squash, and other foods that are rich in lutein and zeaxanthin, which help improve macular health (6). Vitamin-C rich fruits like berries and citrus fruits (5). Exercising and maintaining a healthy weight are also important to deal with macular degeneration. Obesity is one of the many factors that increase one’s risk of developing macular degeneration. Losing weight if you are obese and maintaining it is a great way to help with the condition. Exercising helps to lose weight and also improves the circulation of oxygen throughout your body. This can help slow down the progression of vision loss (7). Here are a few tips to prevent your macula from degenerating further. Avoid increased exposure to the sun. Avoid looking directly at bright lights. Wear sunglasses or hats when outdoors, especially during the day. Keep a check on your blood pressure and cholesterol levels. Exercise regularly to improve oxygen circulation throughout your body. Macular degeneration can take quite a toll on the mental and physical well-being of individuals, especially in adverse cases where significant vision loss is recorded. Getting your eyes checked regularly and beginning treatment promptly (in the case of wet AMD) is indeed your best bet to deal with this condition. For any further doubts or queries, feel free to get in touch with us via the comments section below. What foods should be avoided with macular degeneration? Avoid sugar, high-fat meats, fried and junk food, saturated fats, and refined foods like white rice and pasta. 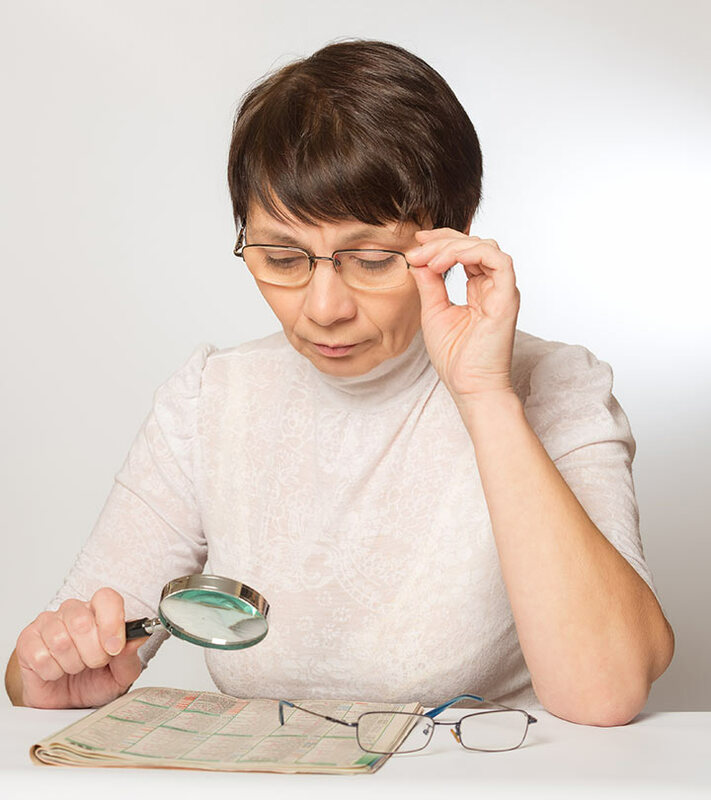 Do glasses help with macular degeneration? Yes, glasses made of special lenses and/or magnifiers can help those suffering from blurred vision as a result of macular degeneration. What vitamin helps with macular degeneration? Antioxidant vitamins like C and E can help slow down the progression of macular degeneration. Why do the blind wear dark glasses? Most visually impacted individuals wear dark glasses to protect their eyes from sensitivity to light. Direct exposure to light can cause dizziness and discomfort in some blind individuals. 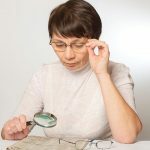 Which is worse – dry or wet macular degeneration? Wet macular degeneration accounts for almost all cases of vision loss from macular degeneration and is, thus, much more severe than dry AMD. “Age-related macular degeneration” Community Eye Health, US National Library of Medicine. “Age-related macular degeneration (AMD): Overview” Institute for Quality and Efficiency in Health Care, US National Library of Medicine . “Overview of Risk Factors for Age-Related Macular Degeneration (AMD).” Journal of Stem Cells, US National Library of Medicine. “Age-Related Macular Degeneration: Current Treatment and Future Options” Therapeutic Advances in Chronic Disease, US National Library of Medicine. “The Association between Dietary Intake of Antioxidants and Ocular Disease” Diseases, US National Library of Medicine. “Lutein and Zeaxanthin—Food Sources, Bioavailability and Dietary Variety in Age-Related Macular Degeneration Protection” Nutrients, US National Library of Medicine. “Role of diet and food intake in age-related macular degeneration: a systematic review.” Journal of Clinical and Experimental Ophthalmology, US National Library of Medicine. “Physical Activity and Age-related Macular Degeneration: A Systematic Literature Review and Meta-analysis.” American Journal of Ophthalmology, US National Library of Medicine. 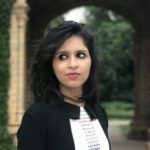 How Is Honey Helpful For Eyes?